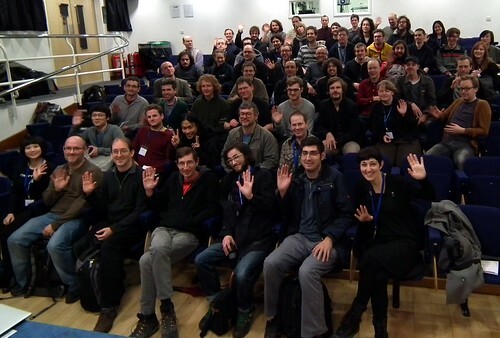 I’ve always been impressed and a bit jealous of SuperCollider’s community, especially since taking the above photo after sneaking into the supercollider symposium in 2012. Such a strange mix of musicians, engineers, philosophers, artists and otherwise confused. It’s great then that the upcoming 0.7-dev release of Tidal has tight integration with supercollider, via SuperDirt, ultimately meaning an easier installation for everyone, more effects, and a healthy mix of sample-based and synthesis-based noises. Big thanks to Julian Rohrhuber for making superdirt, this is going to be fun..